On January 5th, 2015, Judicial Training Update (15-01) summa rizing Minnesota’s historic new expungement law was distributed. During the next several weeks, the thirst for additional information coming from judges, attorneys, law enforcement and the general public was overwhelming. 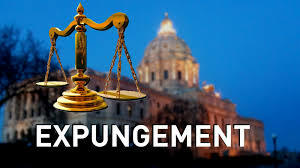 The purpose for this Part Two Expungement Update is to add 6 additional facts about the new law. The following 6 additional facts are intended to supplement and provide clarification to the January 5th training update (15-01). Everything in the first training update is still accurate. When the Court Orders Expungement – Does that Include DNA Samples and DNA Records? What About Domestic Violence Convictions – Will the 2015 Legislature Revisit This Issue? What About DWI Convictions: Use for Enhancement & Implied Consent Records? How do Law Enforcement Agencies and Prosecutors Access and Share Expunged Records? What Procedure is the BCA Following for Cases Involving “Stays of Imposition”? This entry was posted in EXPUNGEMENT, Minnesota's New Expungement Law and tagged Expungement. Bookmark the permalink.